June 13, 2013 by Chris G.
probing the field in yearning steps. skips, us tipping into the hooded sky. April 19, 2012 by Chris G.
One of the great wonders of the poetic world–at least in the western tradition–is the centuries old figure of one of Italy’s most interesting sons: Francesco Petrarch. A poet and scholar, his was one of the voices most sought after in the Renaissance–that great pinnacle of western revival in the arts. For good reason, might I add! Not only was he considered the father of the humanist movement (which would eventually change the face of Europe in a great many ways, I might add–Reformation, anyone? ), he gave birth to what is now known as the Petrarchan sonnet, and his works serve as some of the models for lyrical poetry as a whole. You may recall in a previous post I mentioned the Italian sonnet? 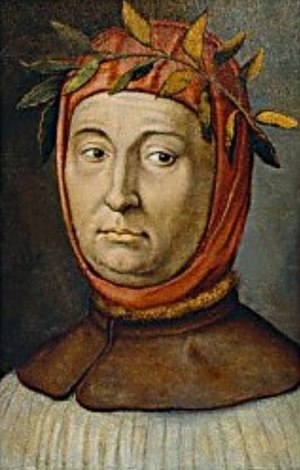 In some cases, it is another name for these–but on the whole, Petrarch’s words served as the basis for those Italian forms to come. His brand of poetry was not typically weighed with politics or the like, as seen in many cases today, but rather with the matter of the heart–or to be more specific, the concepts of unattainable love. Beneath many of them lie a great pining the poetic heart too easily recognizes. Italian, it is often said, is a language of love, and if that’s the case, you might consider thanking Petrarch for the pleasure–the model for the modern Italian language is actually based of a mix of Petrarch’s, Giovanni Boccaccio’s, and Dante Alighieri’s works. April 10, 2012 by Chris G.
the riddle of a woman’s grace. through softest bond and yearning oaths. January 19, 2012 by Chris G.
January 10, 2012 by Chris G.
to the figure of our delusion.